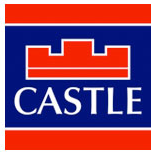 Castle Estate Agents are delighted to present 30 Peyton Court to the market. 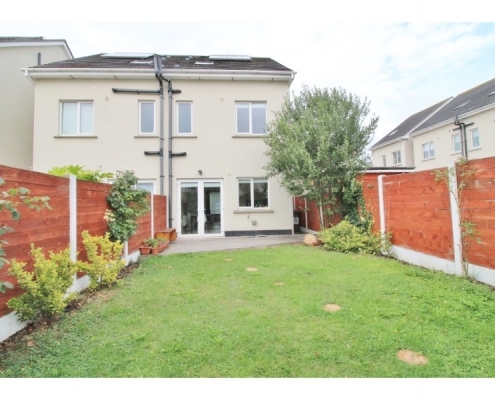 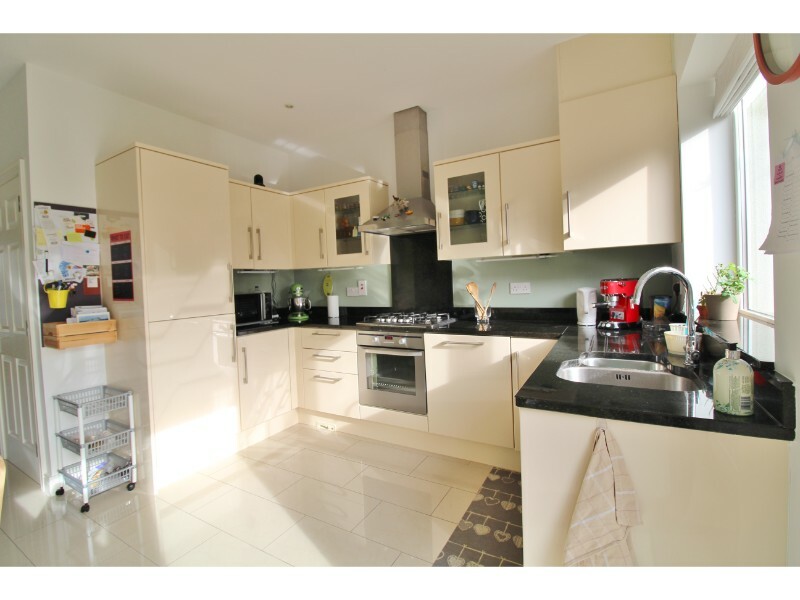 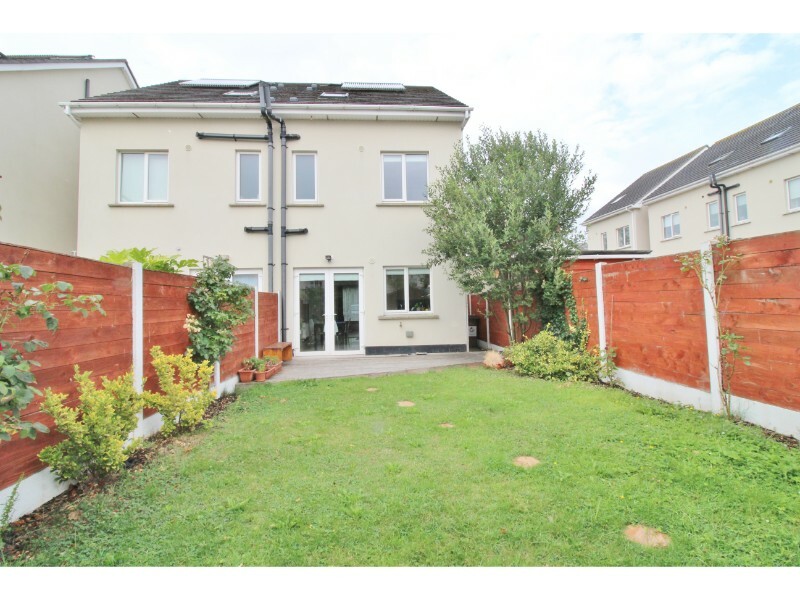 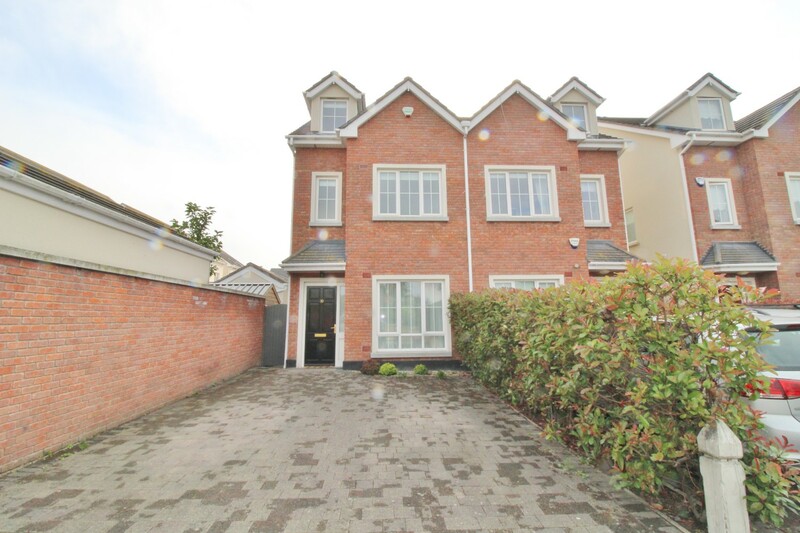 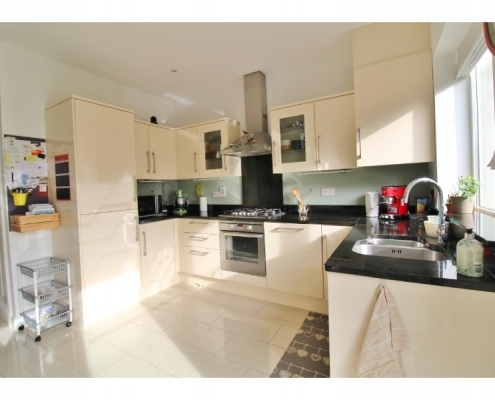 This stunning three bedroom semi-detached townhouse is presented in walk in condition throughout and is located on the highly sought after “Peyton” development just a short stroll from Rathcoole village with all local amenities close by. 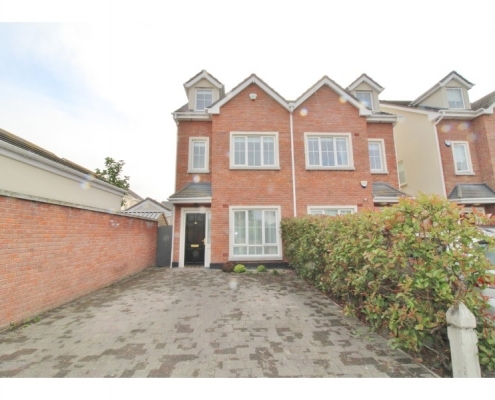 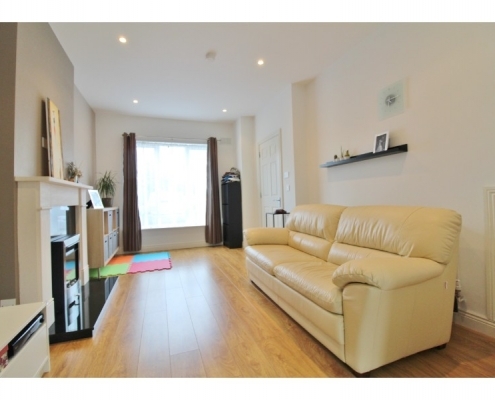 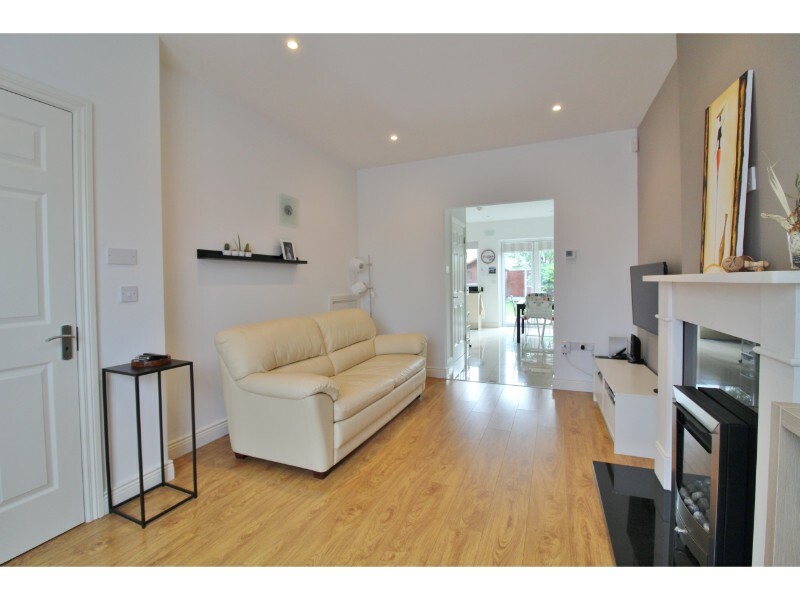 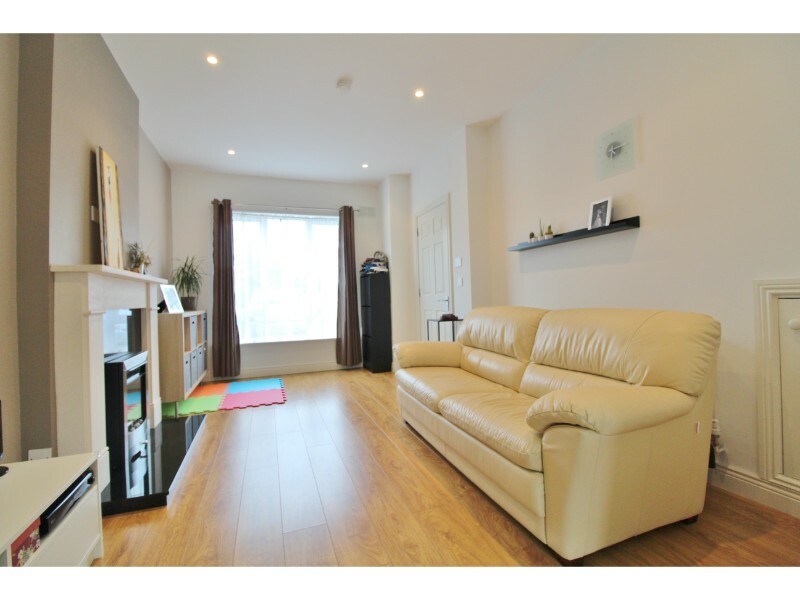 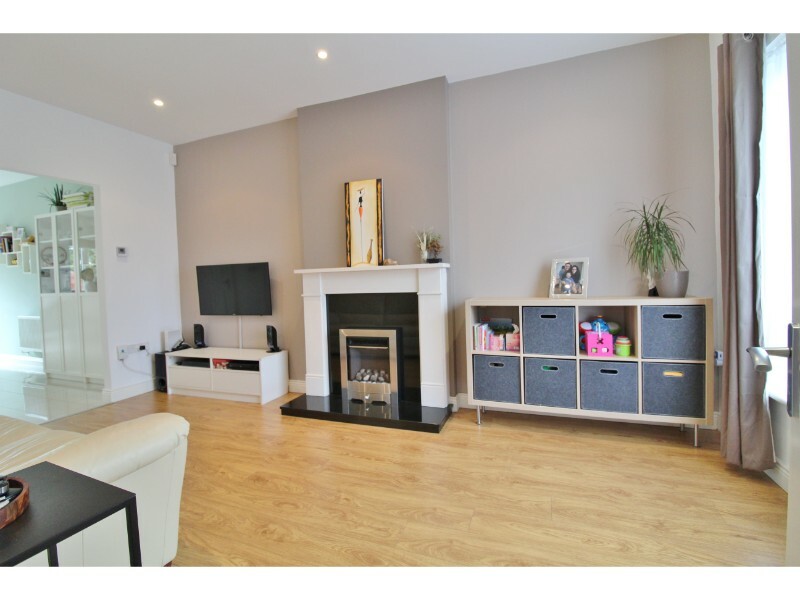 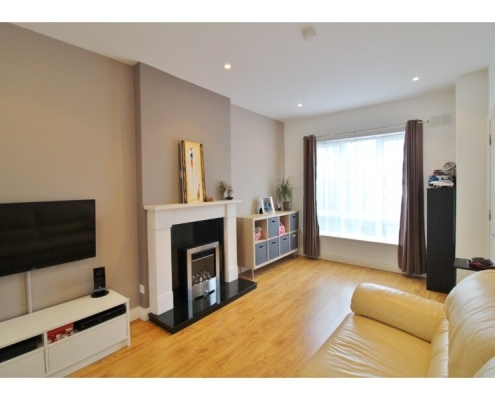 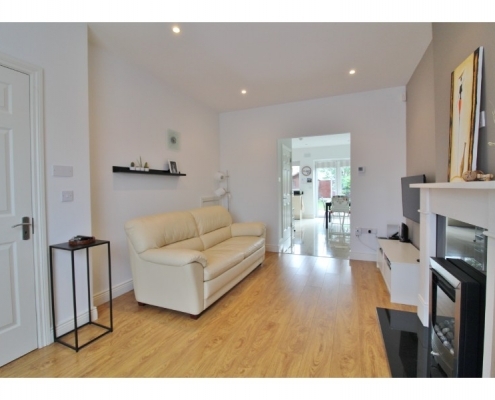 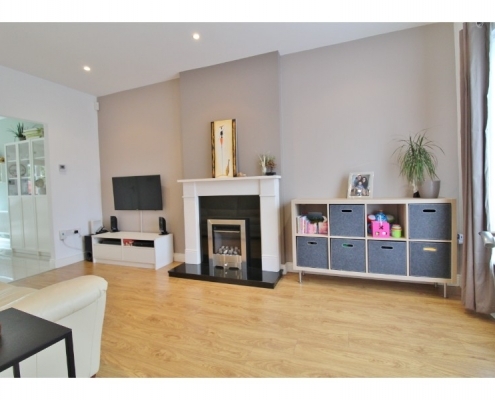 This superb three storey townhouse is presented in immaculate order throughout and briefly comprises of a bright and spacious sitting room and open-plan kitchen/diner to the ground floor, two large bedrooms and two bathrooms to the first floor and a stunning master bedroom with en-suite and storage room to the top floor. 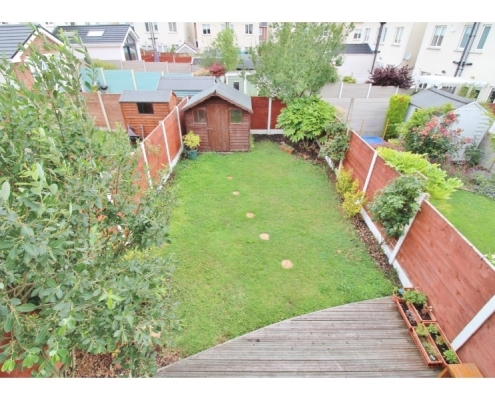 To the rear is a beautiful, west facing rear garden and to the front is a block-paved driveway for off-street parking for two cars. 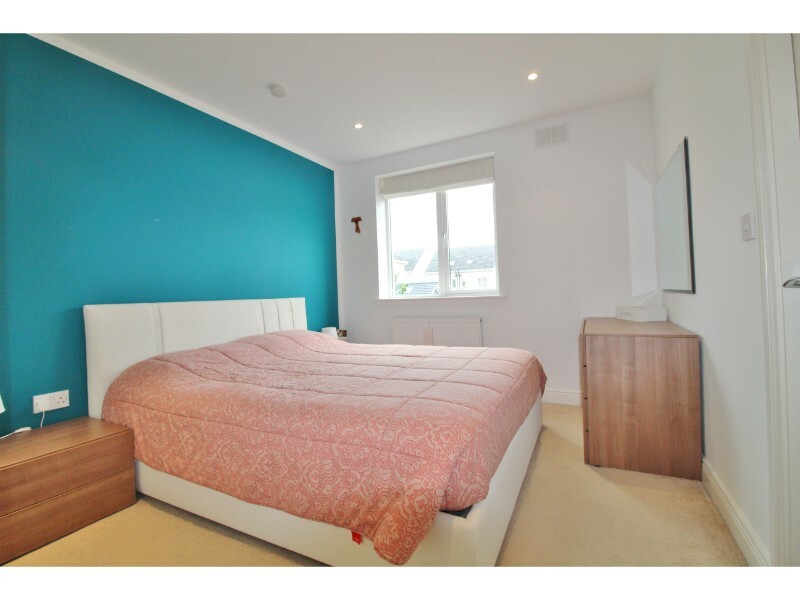 Many additional benefits include, solar panels, zoned heating system, central vacuum system, 9ft ceilings and wired for alarm. 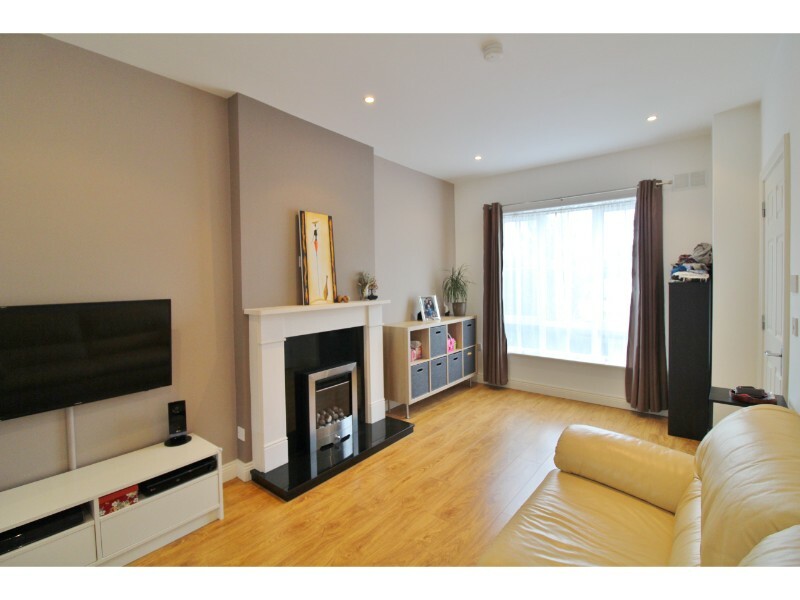 Sitting room: 5.11m x 3.22m – Double glazed Georgian style bay window to front aspect, semi-solid wood flooring, feature fireplace with stone mantelpiece, marble surround and hearthstone and inset, coal-effect gas fire and spot-lighting. 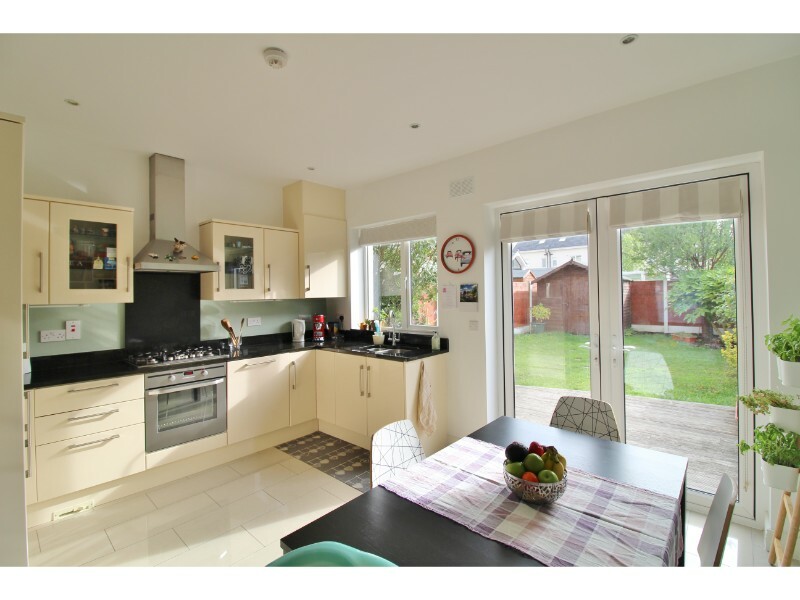 Kitchen: 5.11m x 4.22m – Double glazed French doors to rear aspect and garden, double glazed windows to rear aspect, polished Porcelain flooring, a range of eye and base level kitchen units with granite work surfaces and splash-backs, inset stainless steel sink with mixer tap, integrated oven, 5 ring gas hob and extractor, integrated dishwasher, integrated fridge/freezer, door to utility and cloakroom and spot-lighting. 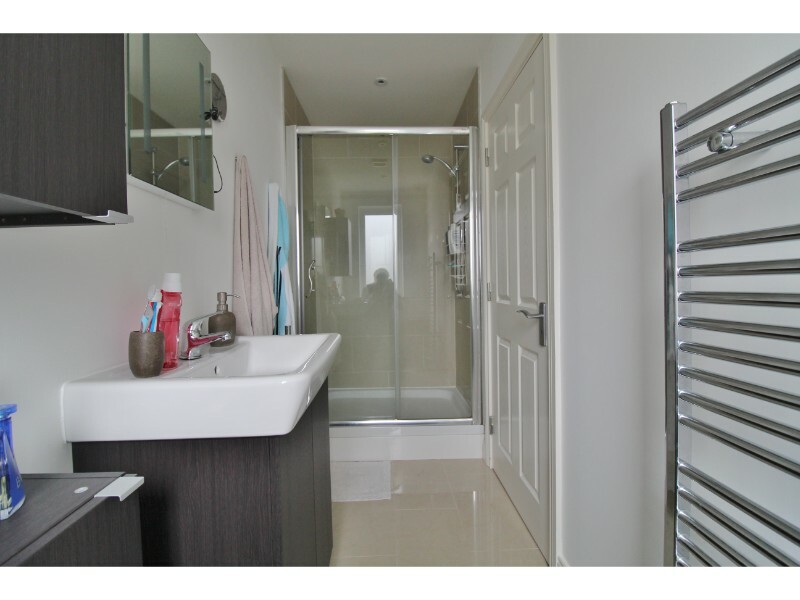 Utility: 1.6m x 0.88m – Polished Porcelain flooring, washing machine with plumbing and door to cloakroom. 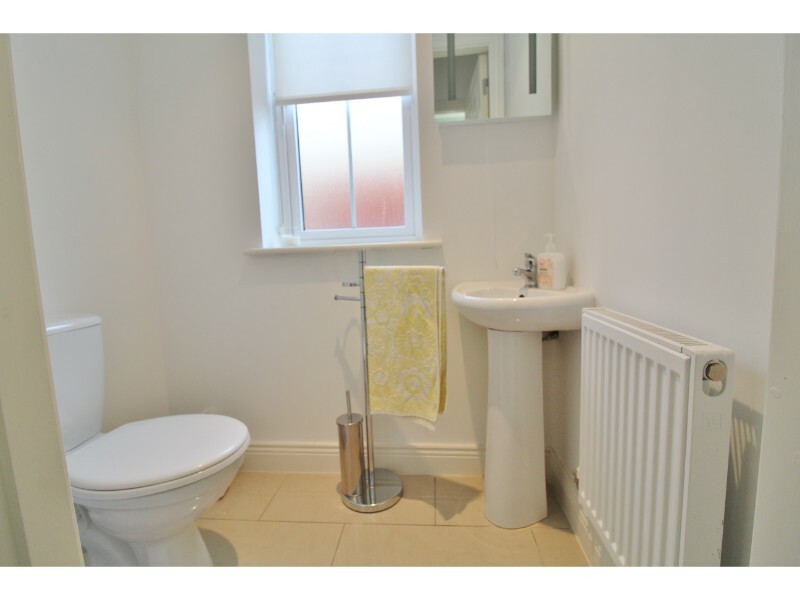 Cloakroom/W.C: 1.59m x 1.04m – Double glazed, obscure glass window to side aspect, polished porcelain flooring, hand basin and W.C. 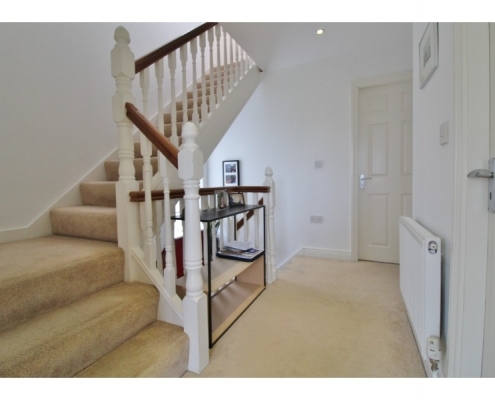 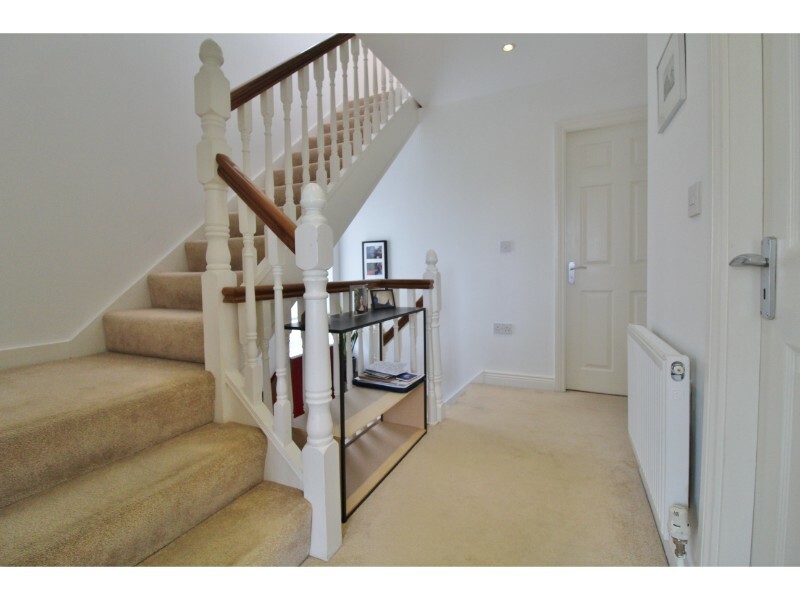 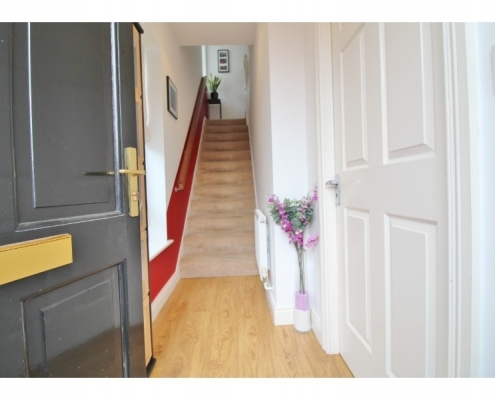 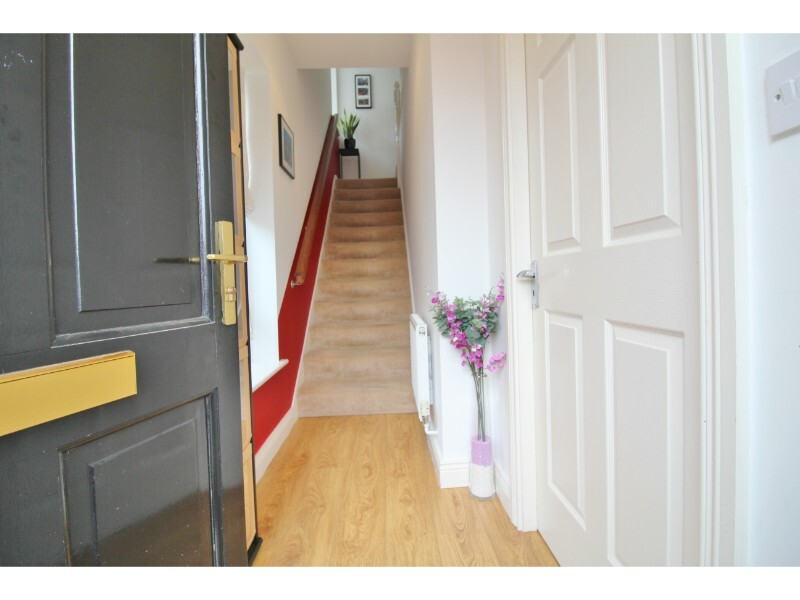 Entrance hall: 5.98m x 0.9m – Covered porch to wood front door with double glazed side window to front aspect, double glazed window to side aspect, semi-solid wood flooring, stairs to first floor. 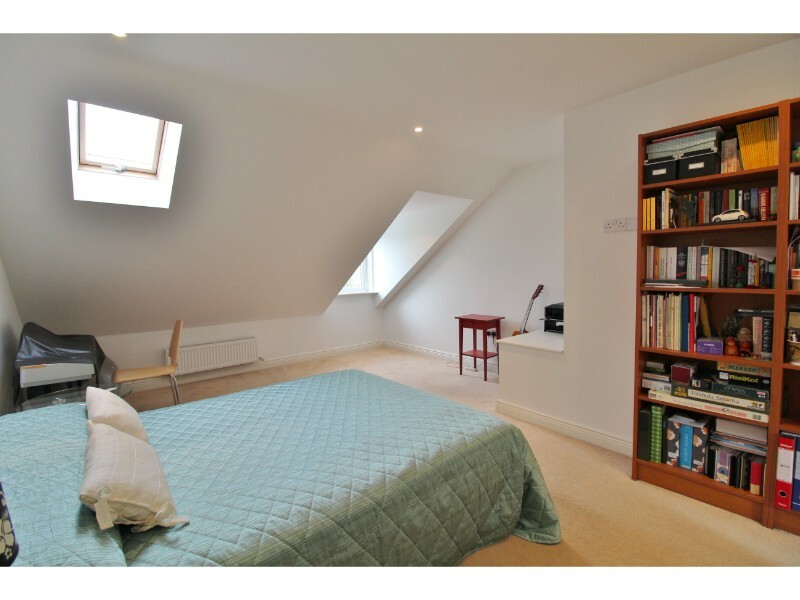 Landing: 2.97m x 2.42m – Double glazed Georgian style window to side aspect, storage room and stairs to top floor. 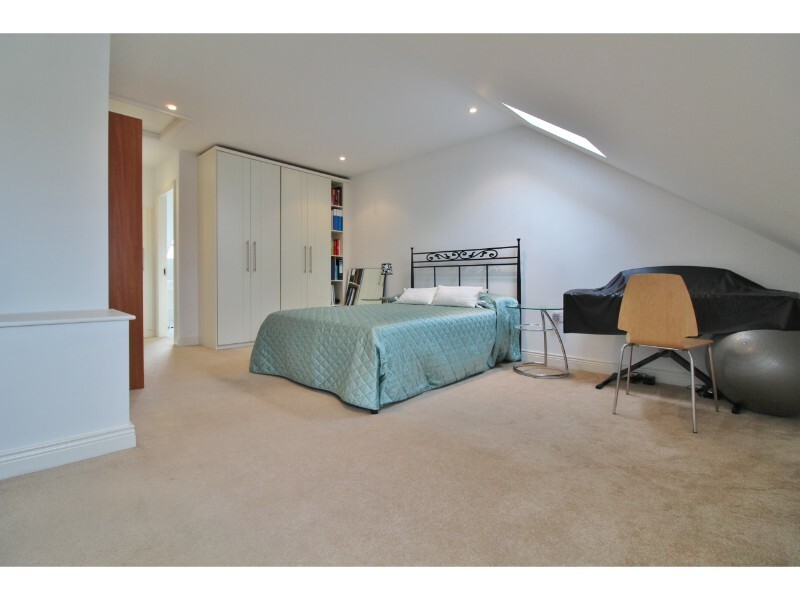 Master bedroom: 6.88m x 4.24m – Double glazed, Georgian style windows to front aspect, double glazed “Fakro” window to front aspect, a range of fitted wardrobes, loft access hatch and spot-lighting. 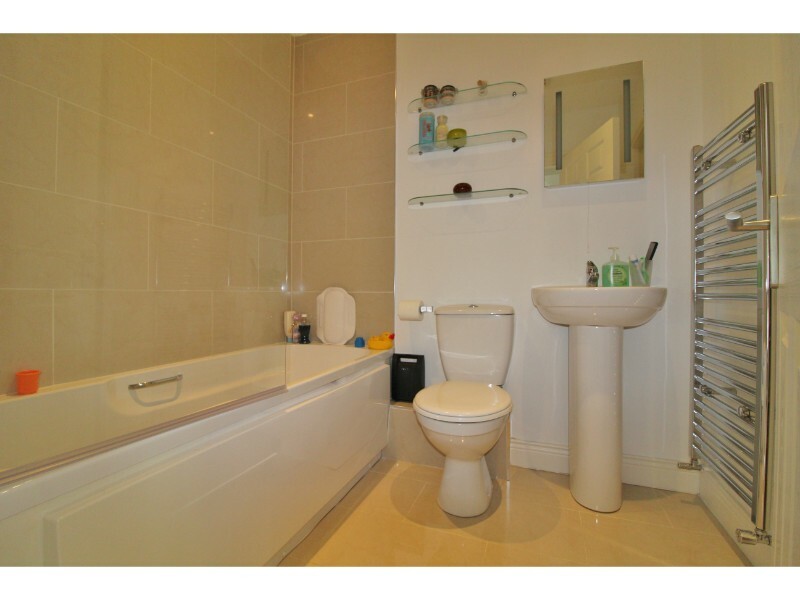 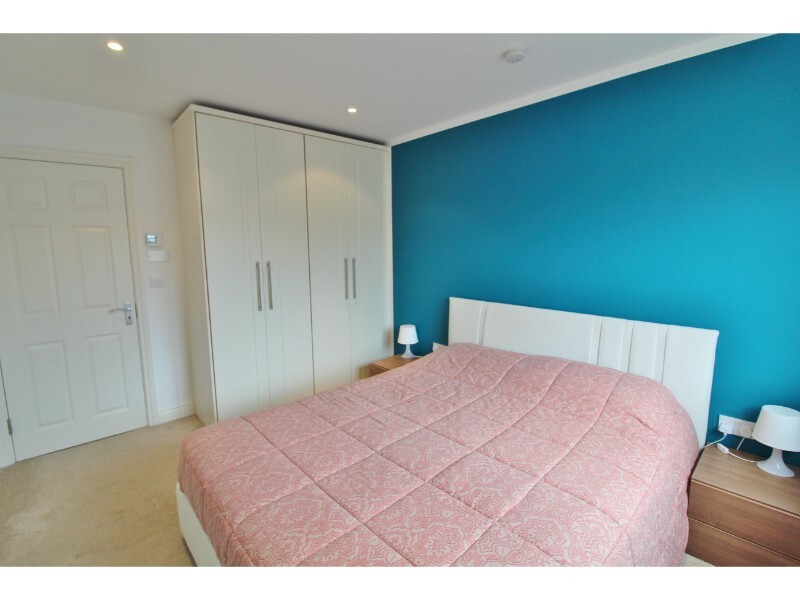 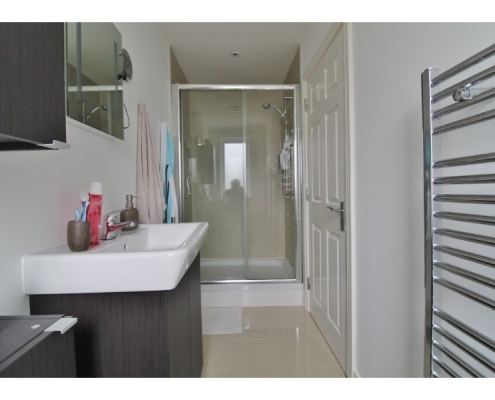 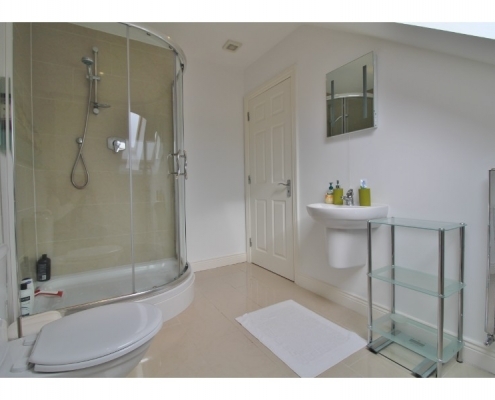 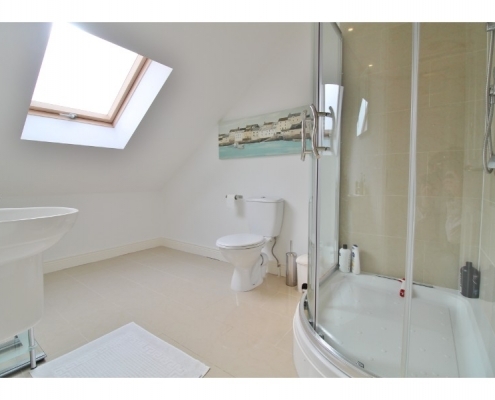 En-suite: 3.33m x 2.08m – Double glazed “Fakro” window to rear aspect, polished Porcelain flooring, fully tiled corner shower, hand basin, W.C. and heated, ladder style towel rail and spot-lighting. 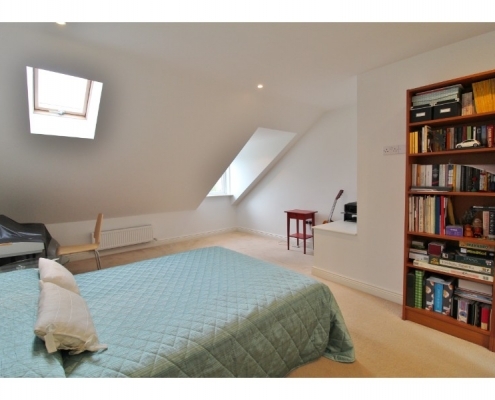 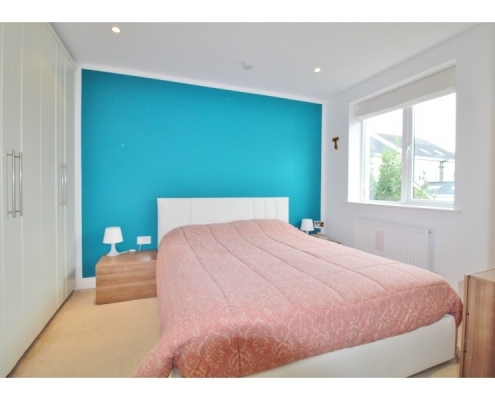 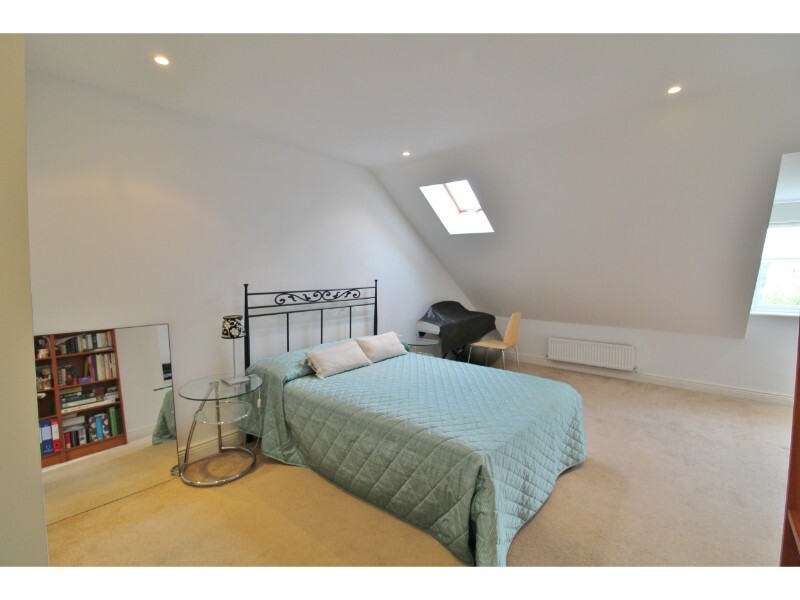 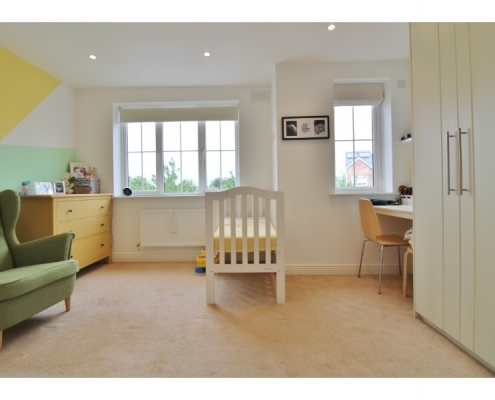 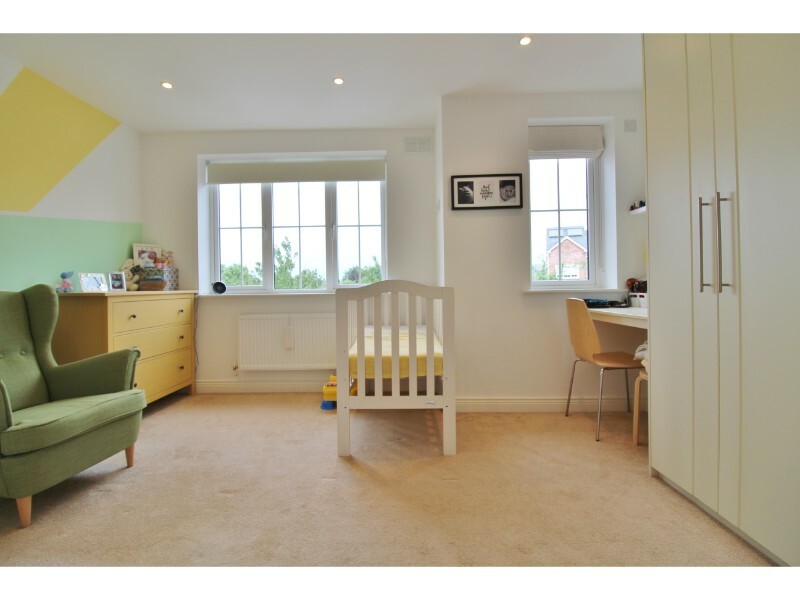 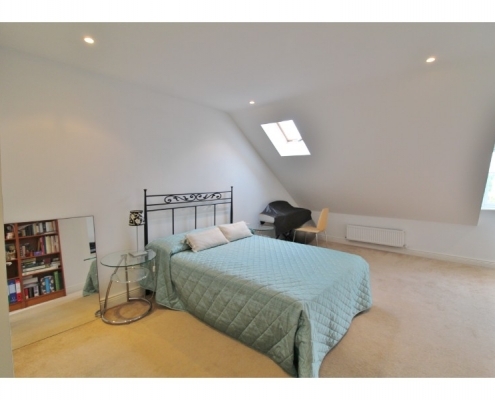 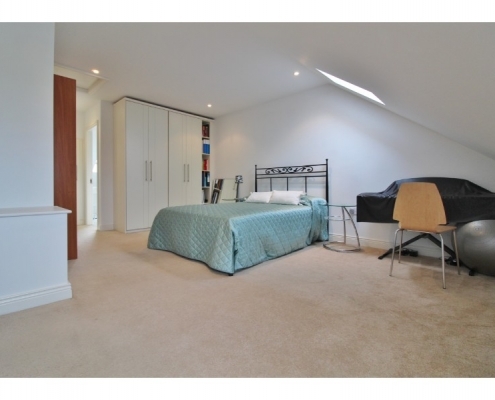 Bedroom 2: 3.80m x 2.95m – Double glazed windows to rear aspect, a range of fitted wardrobes, door to en-suite and spot-lighting. 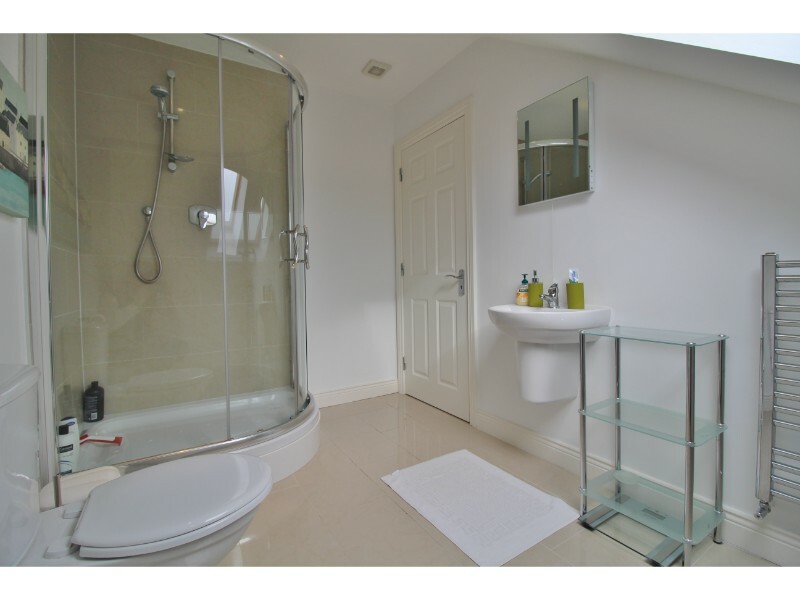 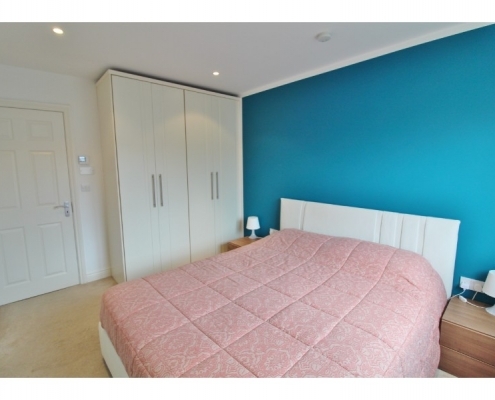 En-suite: 3.62m x 1.18m – Double glazed, obscure glass window to rear aspect, polished porcelain flooring, fully tiled double shower cubicle, pedestal hand basin, W.C. and heated, ladder-style towel rail. 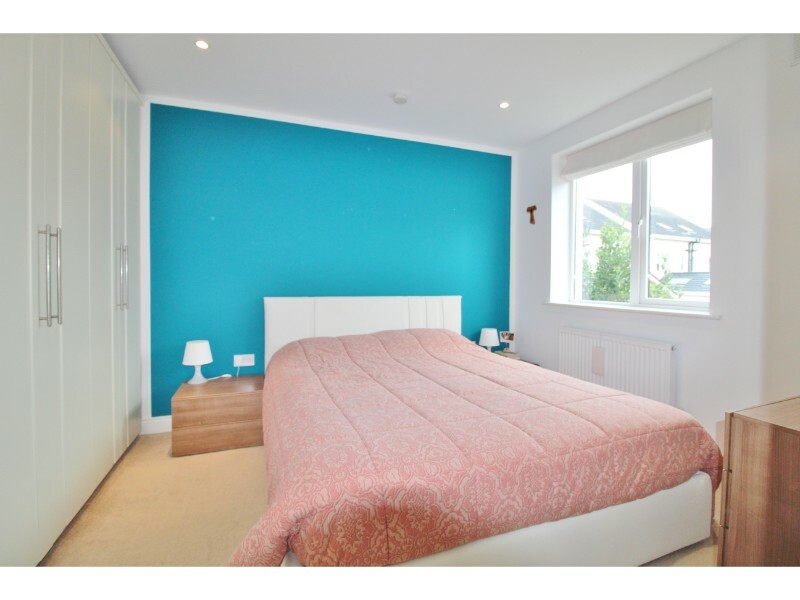 Bedroom 3: 4.27m x 3.26m – Double glazed, Georgian style windows to front aspect, a range of fitted wardrobes and dressing table, door to Jack and Jill bathroom and spot-lighting. 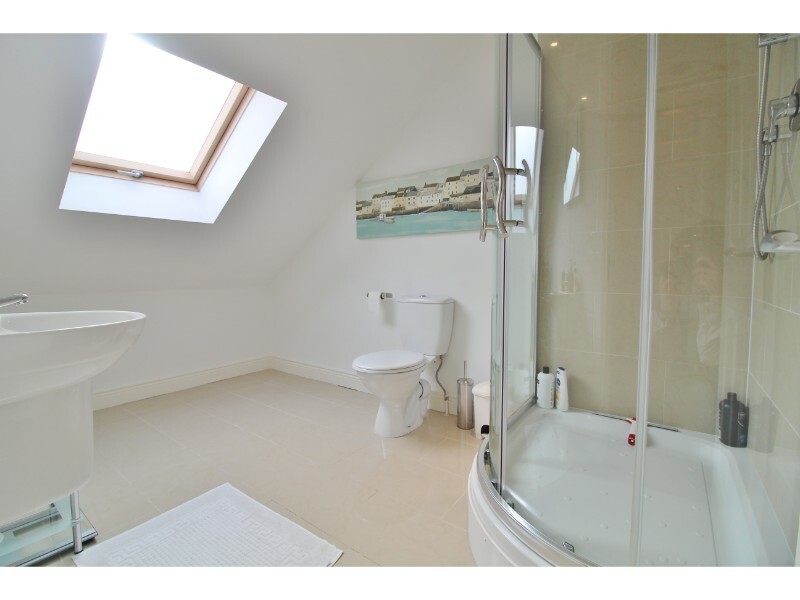 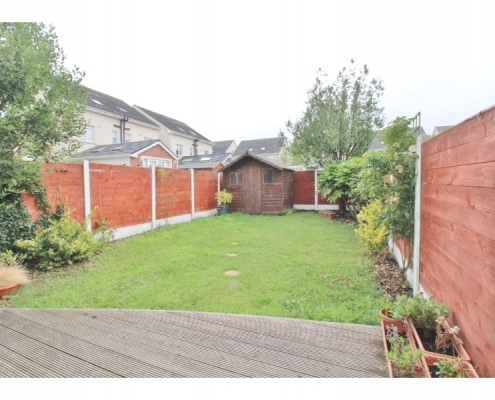 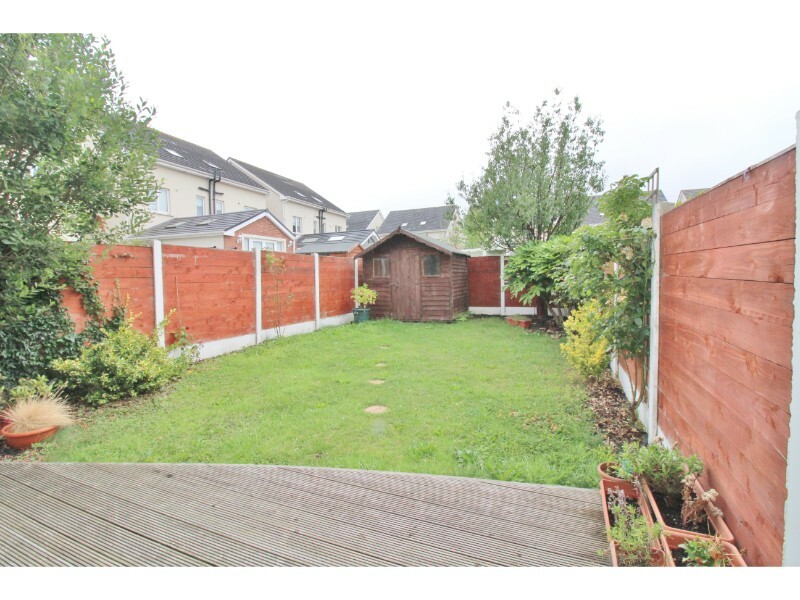 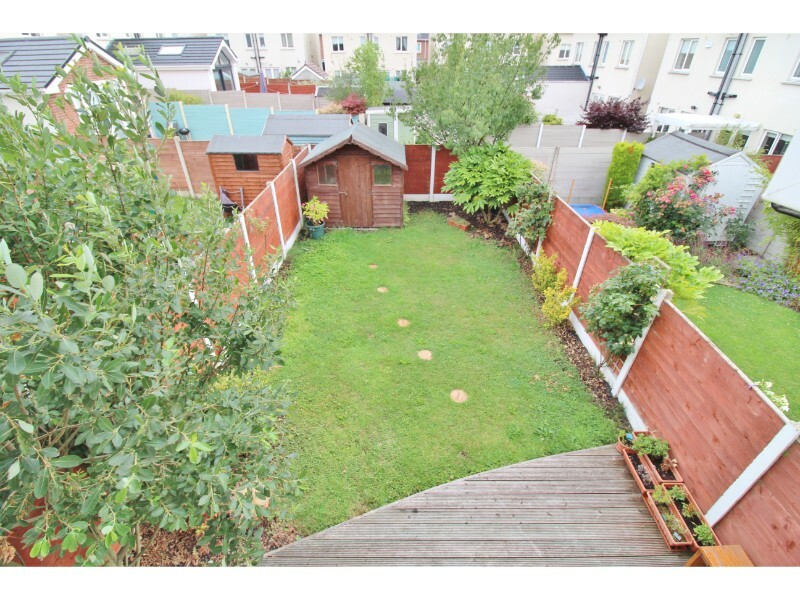 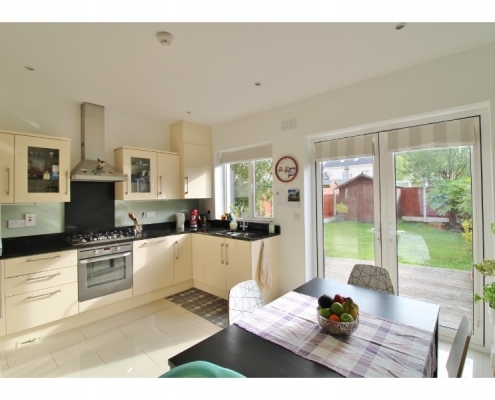 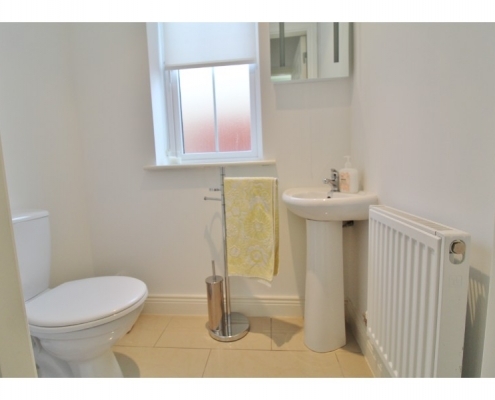 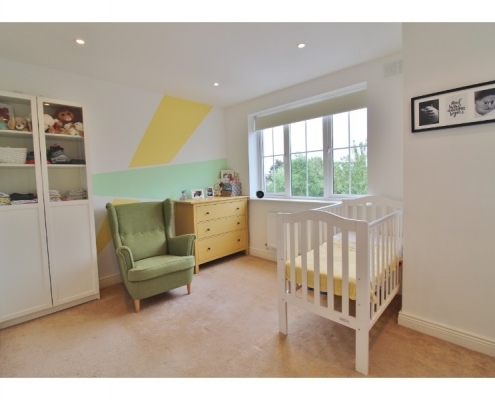 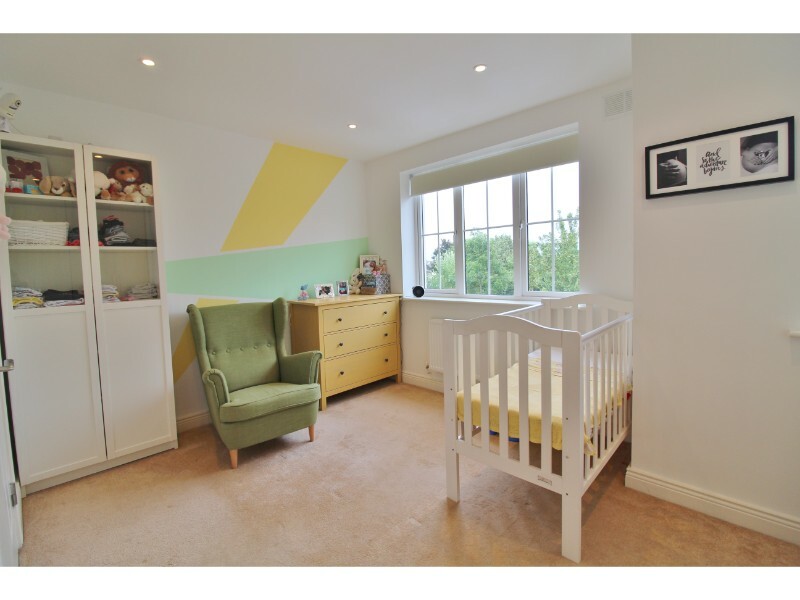 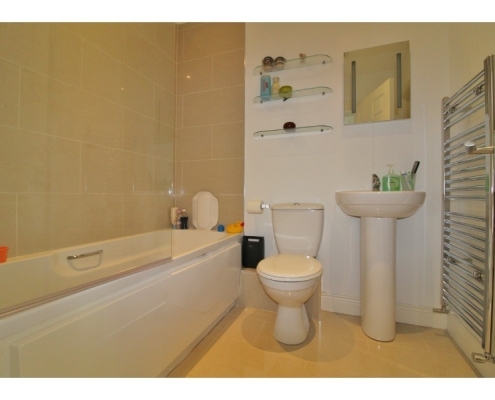 Bathroom: 2.06m x 1.71m – Polished Porcelain flooring, bath with shower attachment, pedestal hand basin and W.C.
Garden: West facing rear garden mainly laid to lawn with decking, wooden shed and side access to front driveway. Front: Block paved driveway providing off-street parking for two cars.